Paige Allen lived through the most harrowing moment of her life when no one could tell her where her daughter was after school. The mother had waited at the end of her driveway for her daughter to be dropped off, but when she saw the bus drive by without stopping, she knew that something was wrong. 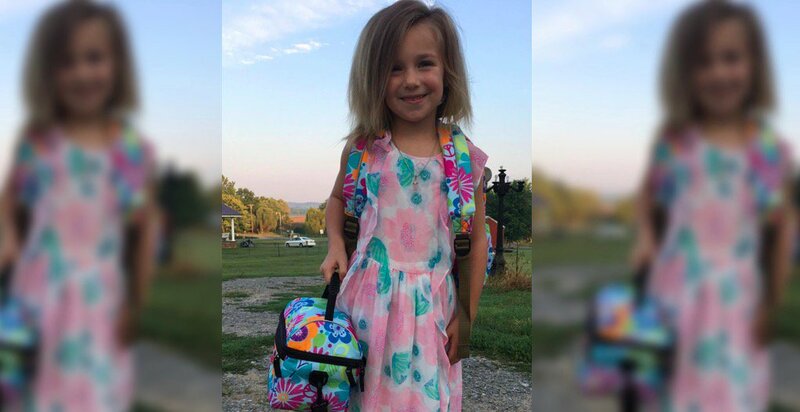 She immediately called the school, who said that her daughter had gotten onto the bus, but that beyond that, they didn’t know where the child was. They suggested the Allen call the bus garage. Allen did so, and the bus garage told her that they would get to the bottom of it, saying that the driver would be fired. For 25 minutes, Allen had no idea where her child was. She was calling everyone that she knew to try and find her daughter. Eventually, a neighbor who lived a mile from her home brought her daughter home. The girl was in tears and terrified. When Allen asked her daughter what happened, the girl told her that she told the bus driver “this isn’t my house, I don’t live here,” but that the driver didn’t listen. The bus garage called back to inform Allen that the driver would not be fired, but instead suspended for 3 days while he was “re-trained.” Allen was outraged. Would you put your child back on that bus, or would you fight for the safety and well being of them? This could be your child, today it was mine.” She wrote. She is now pushing for the man to be removed from his position.